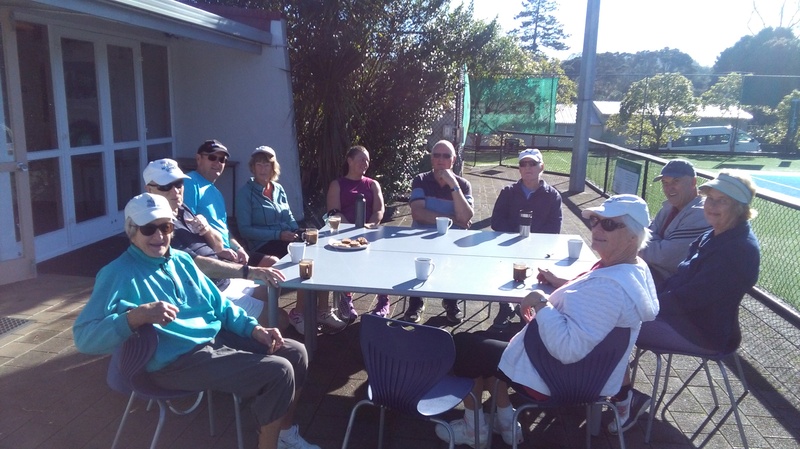 to enable it to provide all levels of play through Tennis North Harbour. The club has its four tennis courts at Shepherds Park, off Cresta Avenue. Alex is running a personalised fitness program. Juniors (9yrs on) from 4pm to 5pm and 15yrs to adult from 5pm to 6pm - $10. Please contact Ingrid/Alex to book your spot. of the delicious products available. A number of clothing items have been floating around in the club house for some time. A clothing rack has been added to the club house furniture with the left behind items on coat hangers or hanging from clips. Have a browse next time and feel free to recover your lost property. 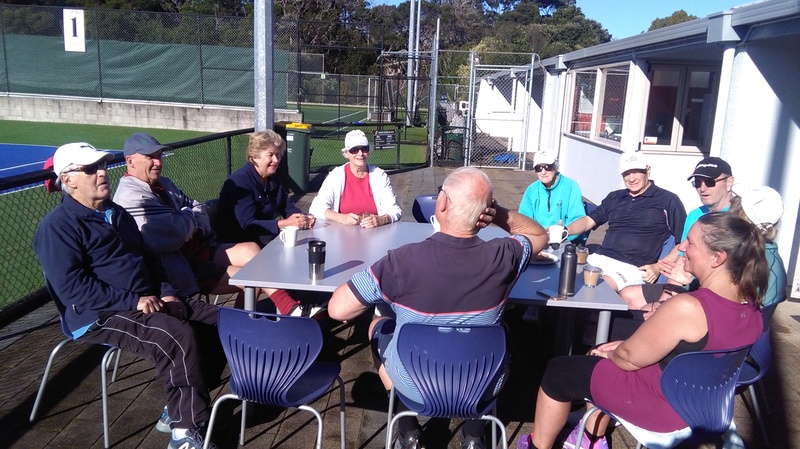 The Wednesday morning tennis session is open for all members and is going strong. Why not come along to hit a few balls in a relaxed atmosphere. On the first Wednesday in the month the Bakers Delight Tournament is played.